Below are some of the items I am bringing to the show for sale. Federal Glass Co. Card Suit Mugs, Rosti Denmark Blue Melamine Mixing Bowls, RRP – Roberts Ransbottom Pottery Striped Mixing Bowl. Lots of mid century kitchen ware, linens, vintage buttons, silk scarves, vintage jewellery including designer pieces and so much more. Come visit my booth ‘Fab Finds’ at the show this weekend. 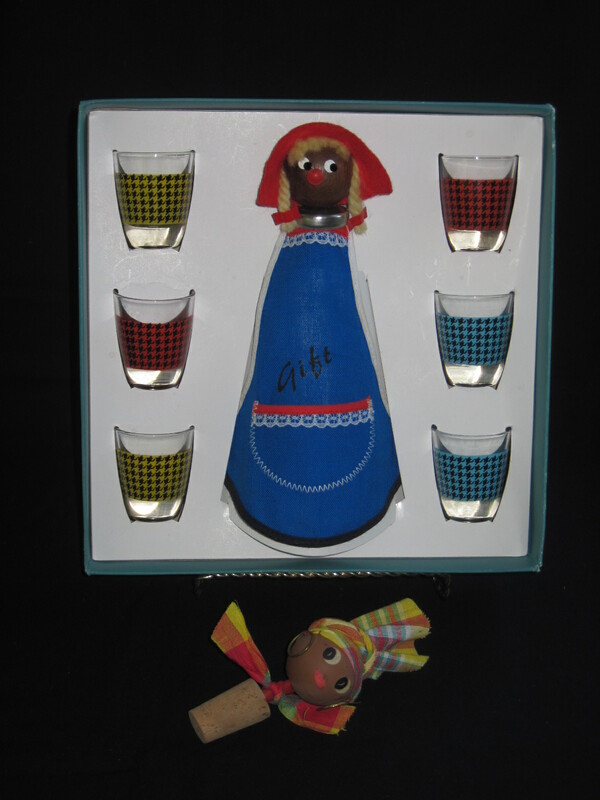 I will have a great selection of Iittala Glassware which will be available at the Ottawa Antique & Vintage Market being held at the Fieldhouse at Carleton University, Bronson Ave & Sunnyside Ave. Ottawa ON. The show will be held on Oct 17th and 18th, 2015. Open Sat from 10 to 5 and Sunday from 10 to 4. 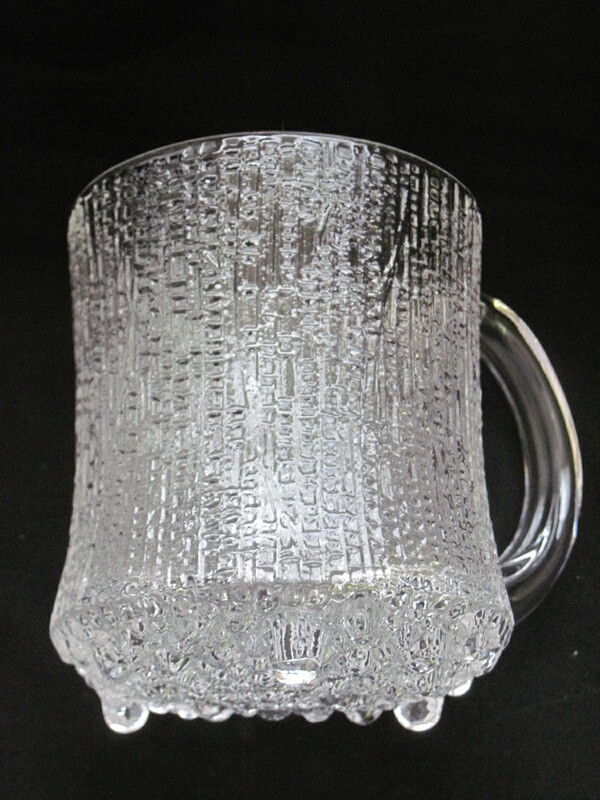 The above photos show some Cocktail, Old Fashioned, Double Old Fashioned, Highball and Beer Mugs in the Ultima Thule pattern designed by Tapio Wirkkala in Finland. They date from the 1960’s and are in excellent condition. They will only be available for sale at the show, not before. 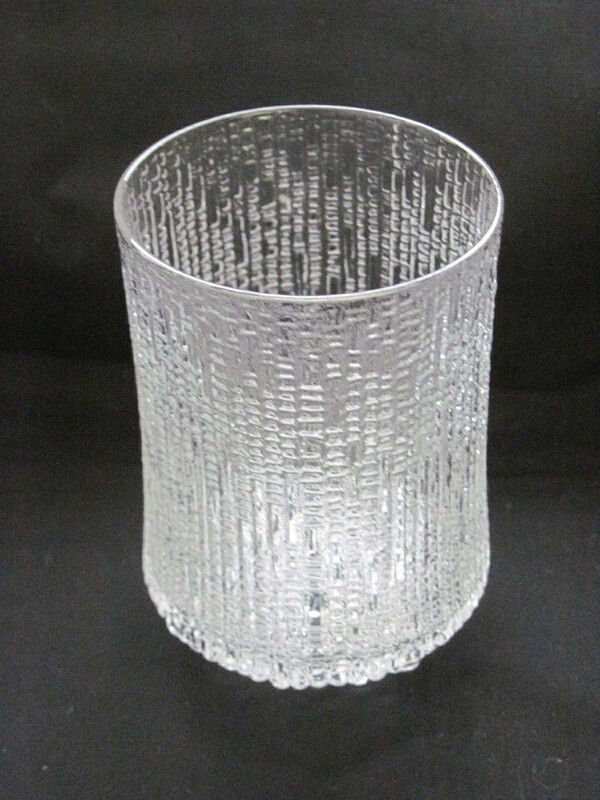 Priced in groups of 6 but I will be open to selling glasses individually if requested. Check out the web site Ottawaantiqueandvintagemarket.ca for further information on the upcoming show at Carleton University. Please note all these glasses are now SOLD!! These were usually promotional give-aways with a fill up at gas stations in the mid sixties. 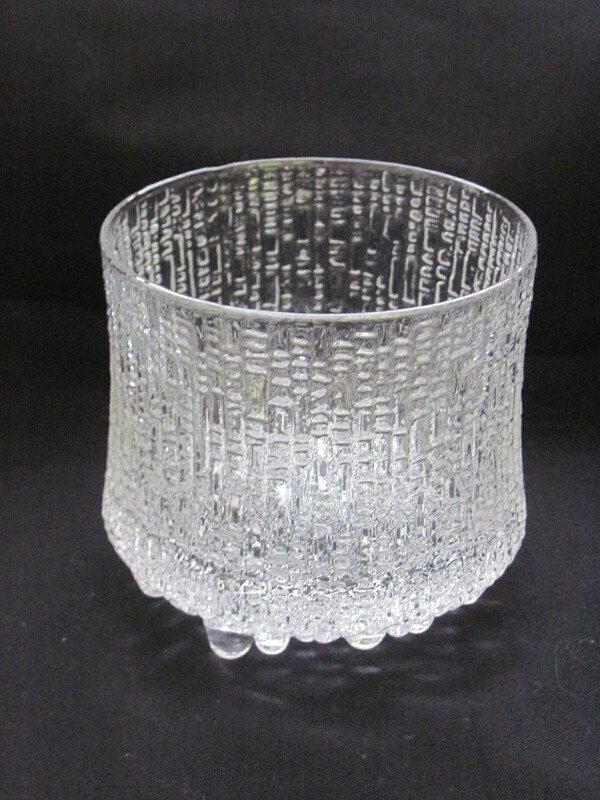 They are not crystal, but they are a very good quality glass. Nice smoky amber bases. Manufacturer is unknown. For this and other Fab Finds, please visit my booth in the Almonte Antique Market, 26 Mill Stree, Almonte ON. Just 30 minutes west of the city of Ottawa. Open year round, 7 days a week from 10am to 5pm. Over 50 vendors in a 2 storey brick heritage building in the town of Almonte. These glasses are priced at $ 25 for the five. Please note this item is now SOLD!!!! 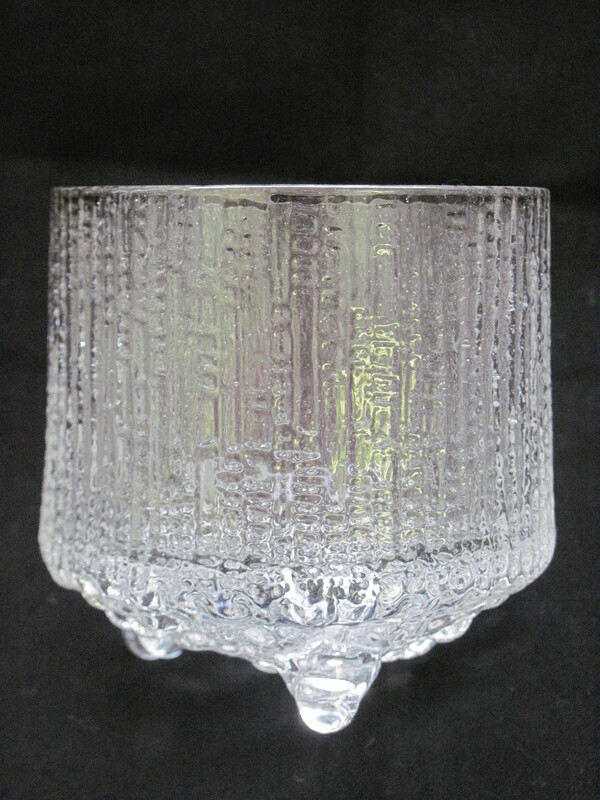 Manufactured by Hazel Atlas Glass Co in the mid 50s. 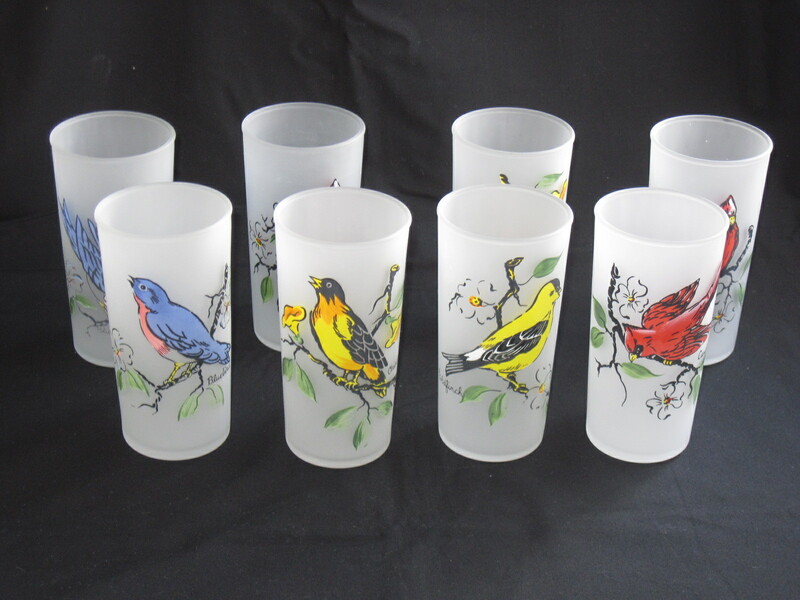 Cardinals, bluebirds, Orioles and Gold Finches adorn these tall frosted glasses. For this and other Fab Finds, please visit my booth in the Almonte Antique Market, 26 Mill Street, Almonte ON. These glasses are priced at $20 for the set. 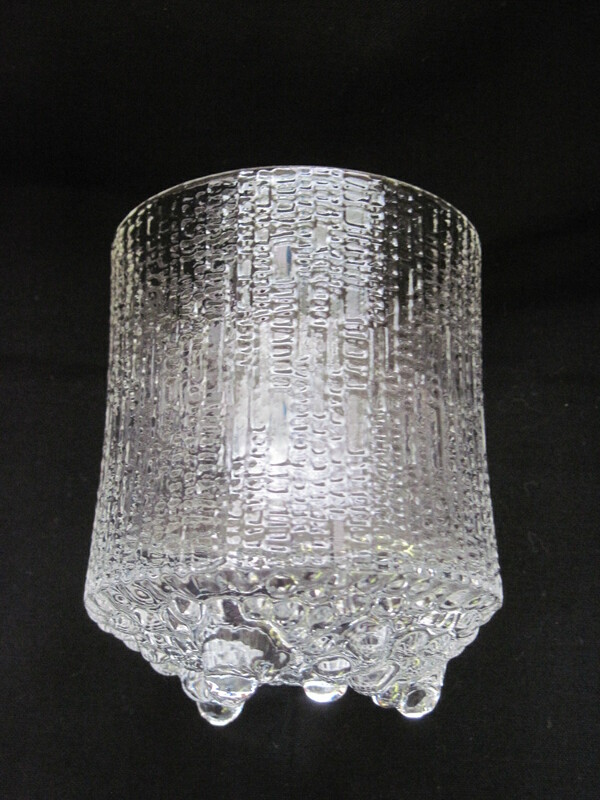 Please note these glasses are now SOLD!!! 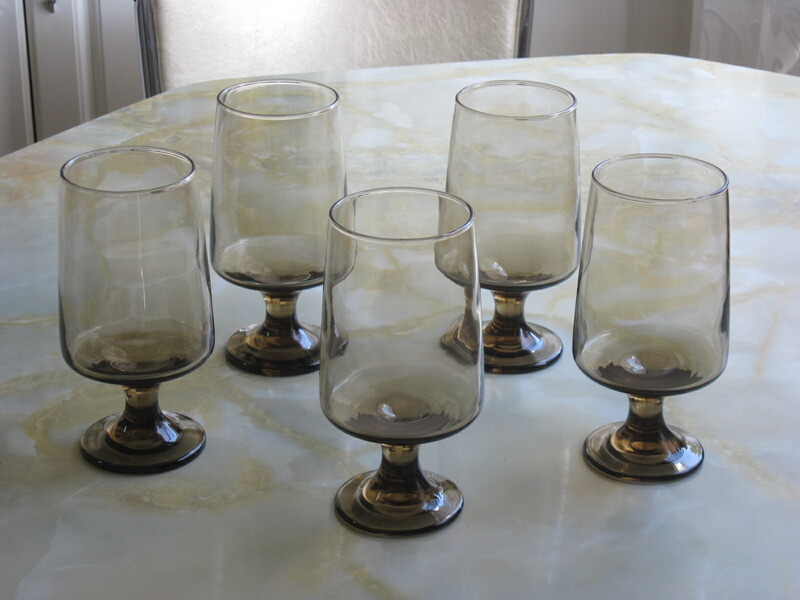 10 Mid 20th Century glasses, maker unknown. Nice design of ships with a touch of turquoise water for colour. They may originally been glass containers for peanut butter or jelly. 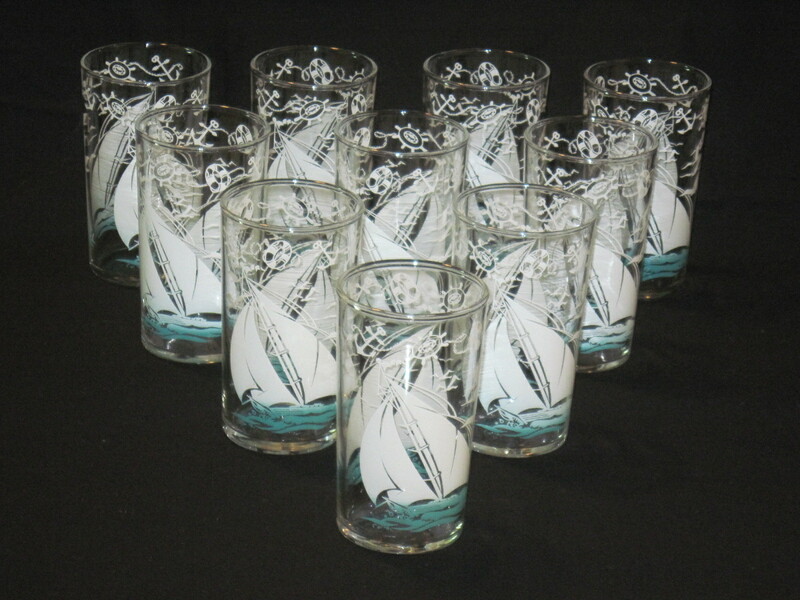 Nautical themed glassware and kitchenware was very popular from the 40’s to the 60’s. Visit my booth at the Almonte Antique Market, 26 Mill Street Almonte ON. Open 7 days a week, all year long. Please note I do not ship any items. Priced at $40 for the set.